Due to its unique ecosystem, endemic species, exotic vegetation and also extraordinary coffee, the Galapagos Islands are a privileged place in the world. This blend comes from San Cristobal, one of the largest islands that constitutes the Galapagos (20 Islands). San Cristobal is the only island that benefits from abundant fresh spring water which keeps the soils in great conditions; that and the fact that coffee grows at 300-400 m contribute to it’s amazing quality. 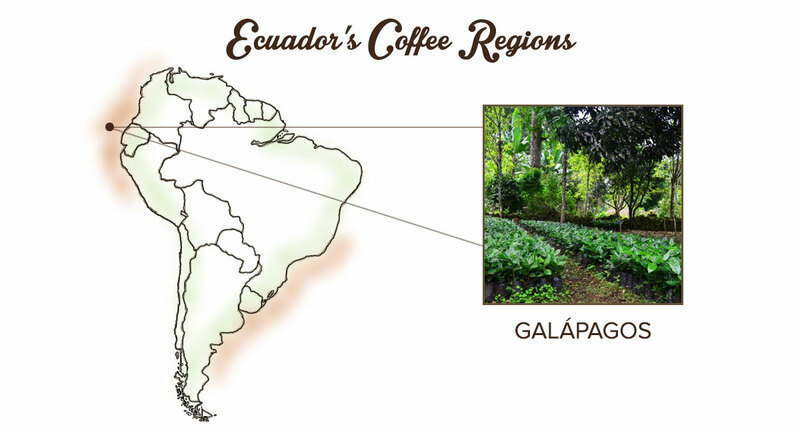 Our Galapagos blend is a complex mix: a juicy aroma, pronounced acidity and full body. One of our rarest coffees with a remarkable final cup you will have to try for yourself.